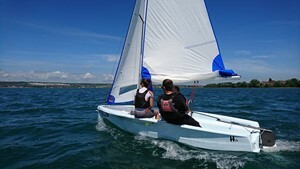 The RNWAC delivers the RYA Level 1 and 2 course together. This practical course is designed to take a beginner up to the stage of being able to handle a dinghy in light to moderate winds on their own. The course content includes rigging, sailing in all directions, capsize recovery and essential safety knowledge. This course lasts four and a half days, or equivalent. No pre-requisites.